The dreaded office move. No one will envy you if you’re the one organising it. There’s so much that could go wrong or missing in the process. They say that moving house is one of the most stressful things you’ll do in your life. 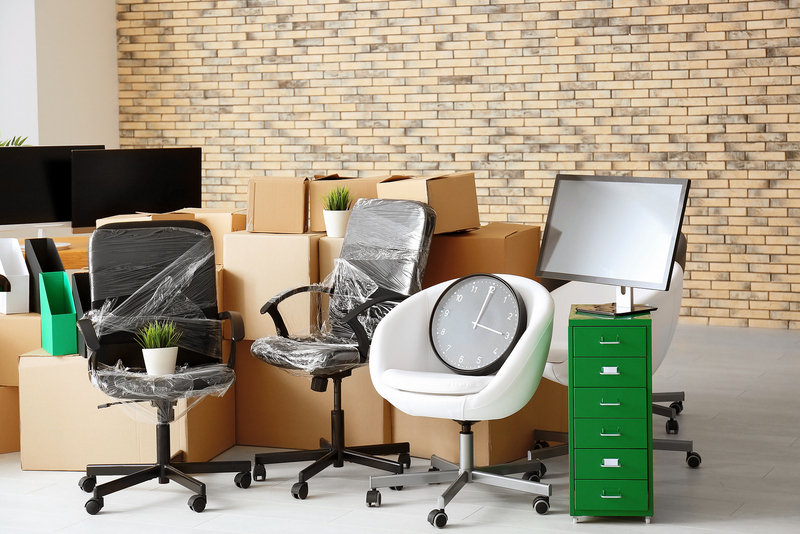 Office moves are no different, except that they may be on a larger scale depending on the size of your company. That person may or may not be you but it helps to have a project leader for any task as big as this. They can be the number one contact that people can go to with queries or problems. Choose someone you trust to make good judgements and who can handle the pressure. It’s also good idea to have someone in charge at both ends of the journey. Having someone at your old and new office means that people know who to turn to and someone’s there to accept deliveries. Hopefully you will have considered parking anyway for your employees, but think also about moving vans. Will they be able to park close to the building? If not, have you got a designated spot to direct drivers to? Label boxes so that delivery workers can place them in the relevant location. This will save you time from having to search the whole office for bits and pieces that might otherwise get lost. Even if you’ve only got a small business, it’s still best to hire someone who has experience moving businesses specifically. They’ll have the experience and resources that other residential movers may not have. Make sure that the company you hire for moving has insurance against all of your hardware and office furniture. The last thing you want is a big repair/replacement bill as soon as you move in. Some buildings will not allow you to move in during office hours due to the disturbance for other people in the building. The building you move into may also restrict parking in a loading dock or require that the floors be covered or protected for when you move in. Check all requirements from the building well in advance so you can prepare for them. Ask each head of department to make an inventory of all items that need to be moved so you can keep track of everything and ensure nothing goes missing. Whether you’ve got an in-house department or outsource, you need to make sure you’ve got a date set where all your tech is set up including phone lines and networks. It’s not a simple case of plug in and go and planning a day to sort everything out will ensure that less time is wasted when you move in. Are you busy planning your office move? What else have you got on your checklist? Share your thoughts.